Suitable for vegetarians. Kosher - Parve. Under supervision of Beth Din Machzinei Hadas Israel. 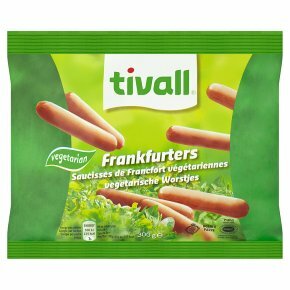 Kosher-Lemehadrin - Rabbi Michael Keller, Rabbinate of Nahariya - Israel.Vegetarian frankfurters Smoke flavour frankfurters made from a lightly seasoned soya and wheat proteins. All ovens vary - these are guidelines only. Cook from frozen. Remove all packaging.2-3 min., 1 1/2 min. 650W, 10 min. 180C, 5 min.